Eat Your City: Yann Haute Patisserie Calgary A - tasty multicoloured rainbow of macarons! 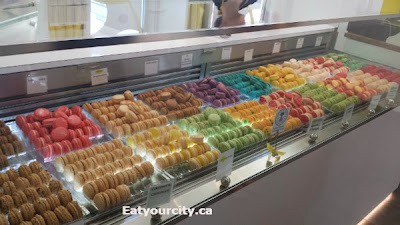 Yann Haute Patisserie Calgary A - tasty multicoloured rainbow of macarons! 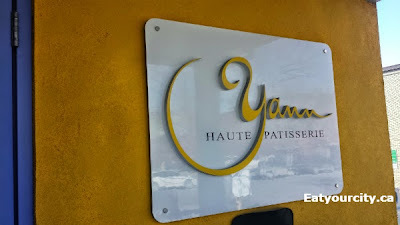 Posted by For years Yann Haute Patisserie has been the go to place for delicious and delicate buttercream filled almond flour based airy delights called macarons. And they still are. Look for the yellow house! 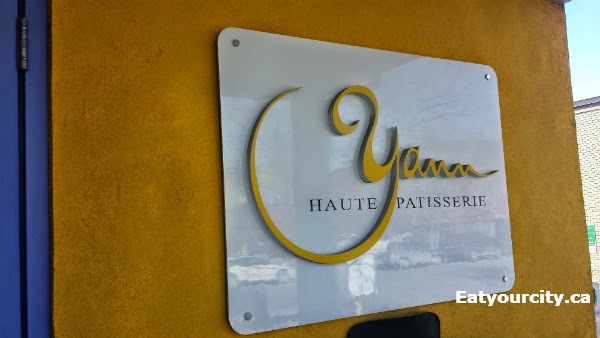 Been going here since they opened I think way back when they focused more on cakes rather than macarons. Today, they have 2 counters devoted to this light, airy and decadent nomnomnom. With a couple of new flavors every month, you can never try them all! 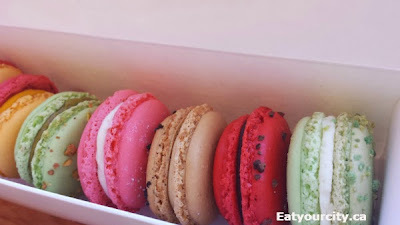 Got Mango and lyceex2, pistachio, rose and lychee, chocolate, raspberry and chocolate, mint and cucumber macarons!